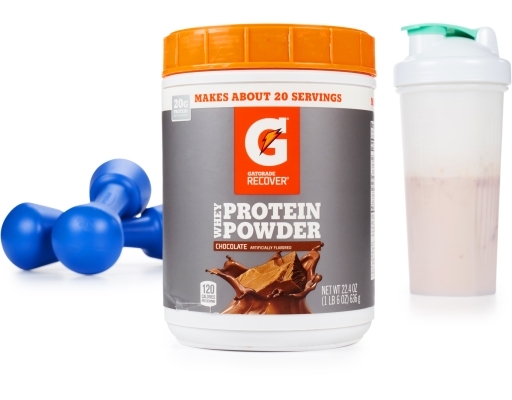 Formulated based on sports science research. Gatorade Recover Whey Protein Powder helps athletes rebuild what they break down after practice or the big game. Available in a bulk canister, perfect for repeat use, Gatorade’s Sport Formula has an NCAA-compliant ratio of protein to carbohydrates. 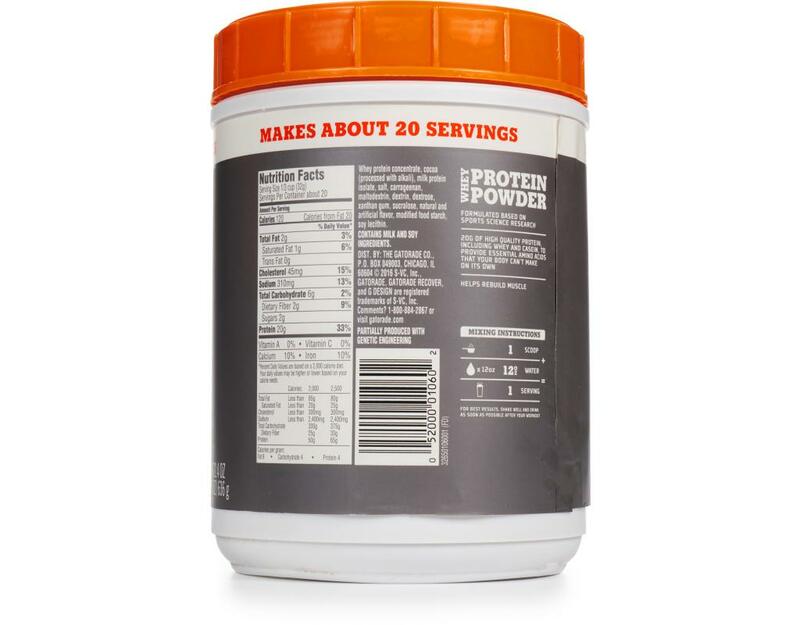 20G of high quality protein, including whey and casein, to provide essential amino acids that your body can’t make on its own. 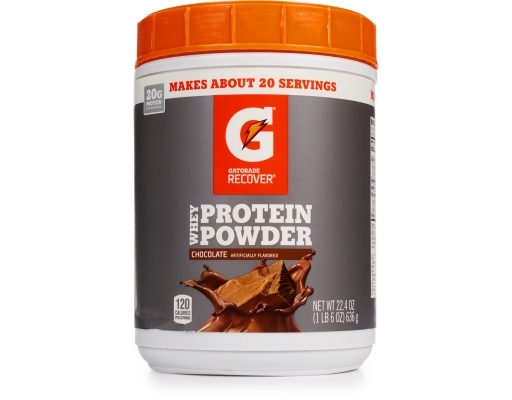 Helps rebuild muscle.